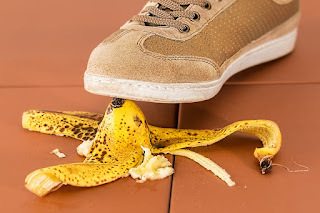 If you ever are unfortunate enough to have an accident at home, out and about or at work, the first thing you may think about is filing for a personal injury claim. You will likely see tens of adverts every day of personal injury lawyers offering great services, and it may make you reluctant to buy into it at all. However, just because the adverts are cheesy doesn't mean that it is a waste of your time. If the accident was not your fault, you are fully within your rights to bang down the office door and ask for help in getting compensation. Personal injury claims can sometimes be tricky to win, which is why today we have come up with a few tips on how to nail your case and get the compensation that you deserve. Write everything down - Make sure you write down everything which happened before, during and after the accident in as much detail as you can. Take circumstances into account - Was it icy or snowing? How was the visibility? These factors could be what helps you see that it wasn't your fault for what happened. The next step to helping prove your case is to find others who saw the accident happen. You can write everything down in as much detail as you want but if no one else saw what happened, you may not be believed. To make sure that your story can be corroborated in court, you need to find people who saw exactly what happened and who can vouch for your innocence in the events. Once you find a witness ask them if they would be willing to make a short statement in your behalf. Make sure that you take down all of their contact information too. If you are able to stand, the first thing you will need to do after being in an accident is to try and get photos of the scene from every angle to give a full view for the court. You can take images of the scene where you fell such as a loose paving slab or a missing step, and make sure to get a full image of the location too. If you have been in a larger accident such as a car accident you can even take a short video as you walk around the scene and focus in one different things. This can be a huge help to the lawyers when they build your case. The last thing which will make sure you get the compensation you need is to record your injuries in detail throughout the aftermath. Take photos of your injuries and write a diary to say how you feel each day. Get medical treatment to prove your diagnosis and keep up with medications throughout. This will prove how badly you have been hurt and the fact that you deserve compensation.